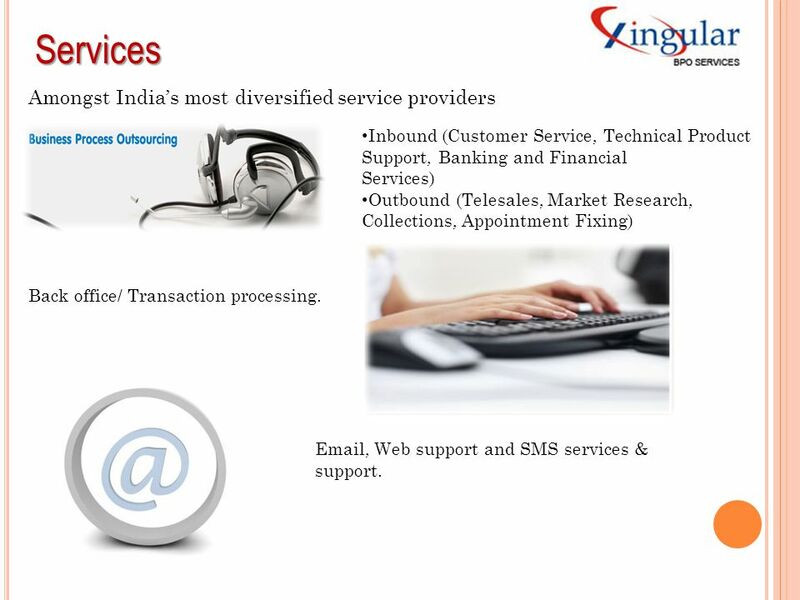 1 YOUR EXTENDED SERVICE PARTNER..
2 INTRODUCTION We are pleased to introduce Xingular as one of the leading company’s in the field of telecom projects and BPO services since Xingular is a part of a multi-core group backed by a collective industry experience in training and online/offline production in various fields of IT Enabled services. 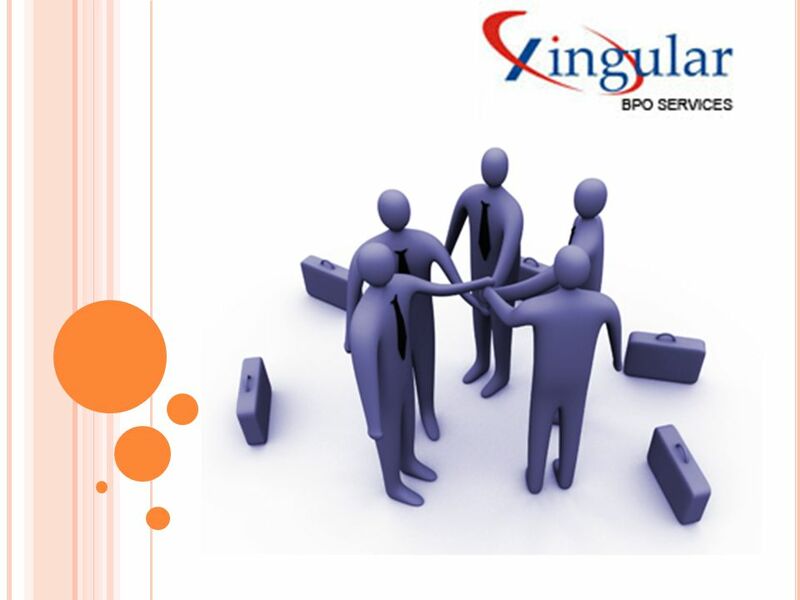 Xingular, a leading IT-enabled services an BPO & KPO provider in India, has carved a niche for itself in this industry today. Diversity is a critical requirement for the success of any company today. The real reason for doing diversified training is the need for a more interconnected work force. We believe in developing an environment that values diversity as an essential step towards a lifelong effort of positive change in the entire community. 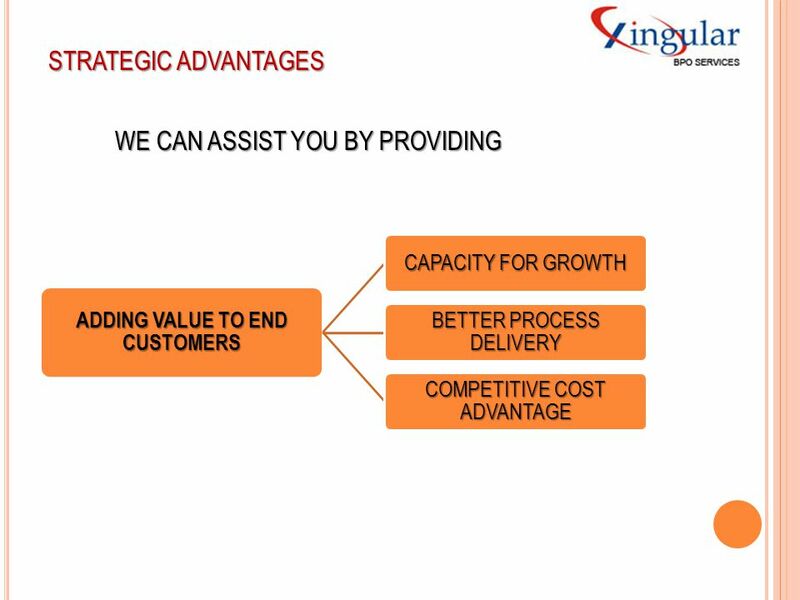 Xingular has also grown tremendously over the past few years and presently in running activities in areas related to both voice and data. 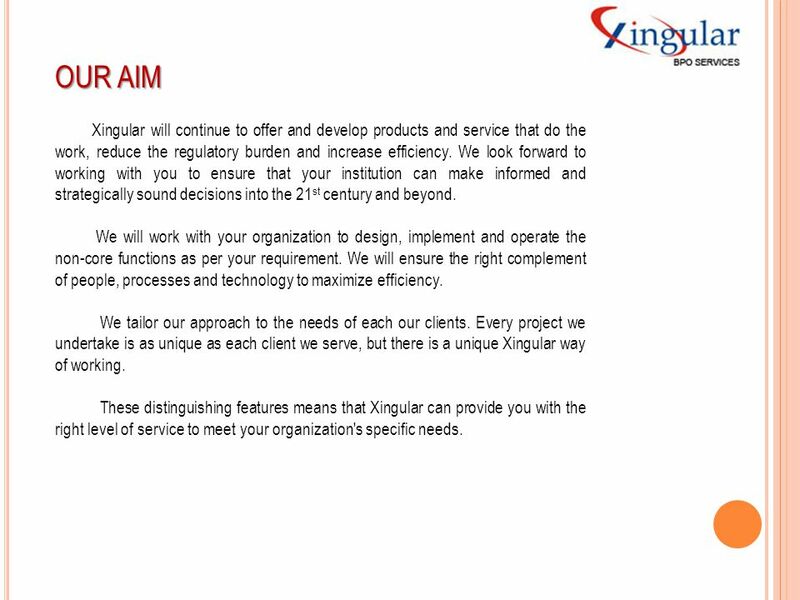 3 OUR AIM Xingular will continue to offer and develop products and service that do the work, reduce the regulatory burden and increase efficiency. We look forward to working with you to ensure that your institution can make informed and strategically sound decisions into the 21st century and beyond. 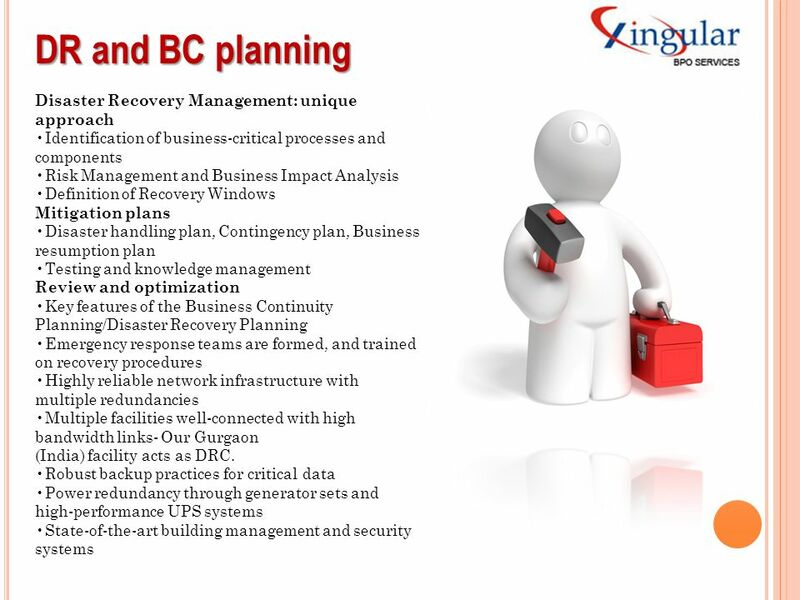 We will work with your organization to design, implement and operate the non-core functions as per your requirement. We will ensure the right complement of people, processes and technology to maximize efficiency. We tailor our approach to the needs of each our clients. 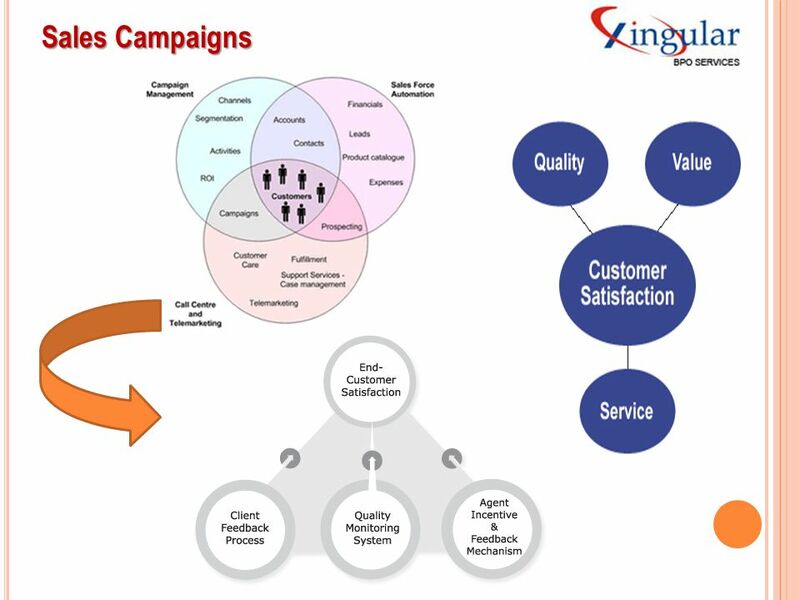 Every project we undertake is as unique as each client we serve, but there is a unique Xingular way of working. 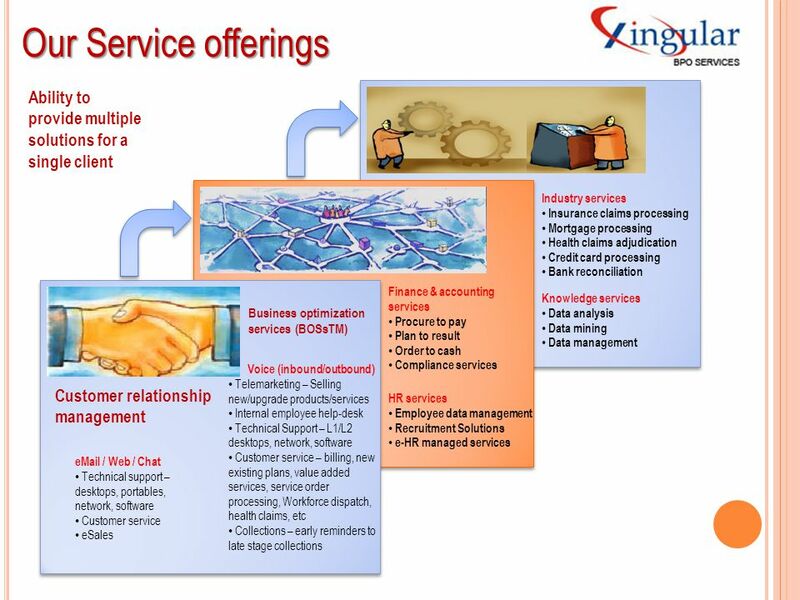 These distinguishing features means that Xingular can provide you with the right level of service to meet your organization's specific needs. To become one of the globally respected corporation, providing quality-centric business process outsourcing (BPO) services to fortune 1000 and other leading global companies. We foresee to be acknowledged as a world leader that enables organizations to enhance business insight with innovative solutions for high performance. Corporate Mission To create new standards for customer support using world class solutions, human resource and technology. Corporate Values We are committed in providing high quality of service to our clients, by delivering value for money, and by building a culture of excellence and sense of pride amongst ourselves. Inbound (Customer Service, Technical Product Support, Banking and Financial Services) Outbound (Telesales, Market Research, Collections, Appointment Fixing) Back office/ Transaction processing. , Web support and SMS services & support. 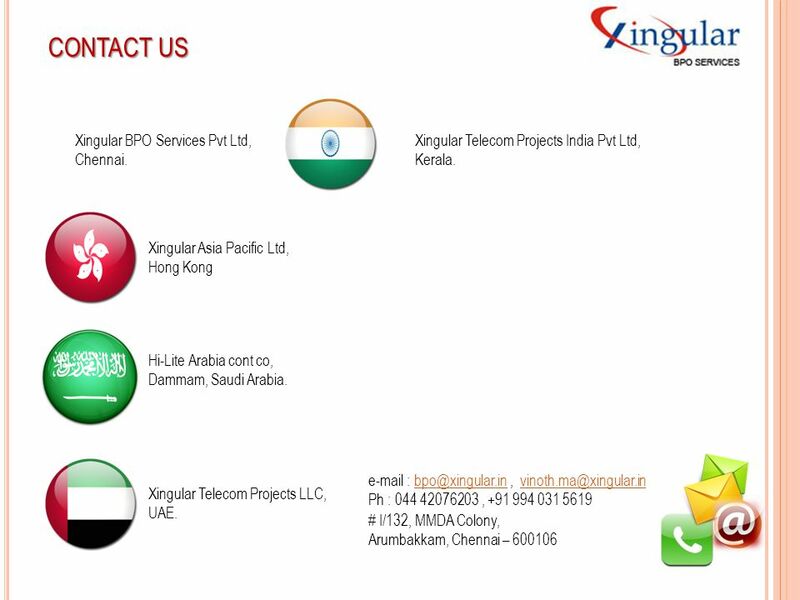 18 CONTACT US Xingular BPO Services Pvt Ltd, Chennai. Download ppt "YOUR EXTENDED SERVICE PARTNER.."
Company Profile Company Profile Xtreem Group We are one of the leading Software Development Organization based in Pune India. The. We are the Call Center Experts. CallMe! 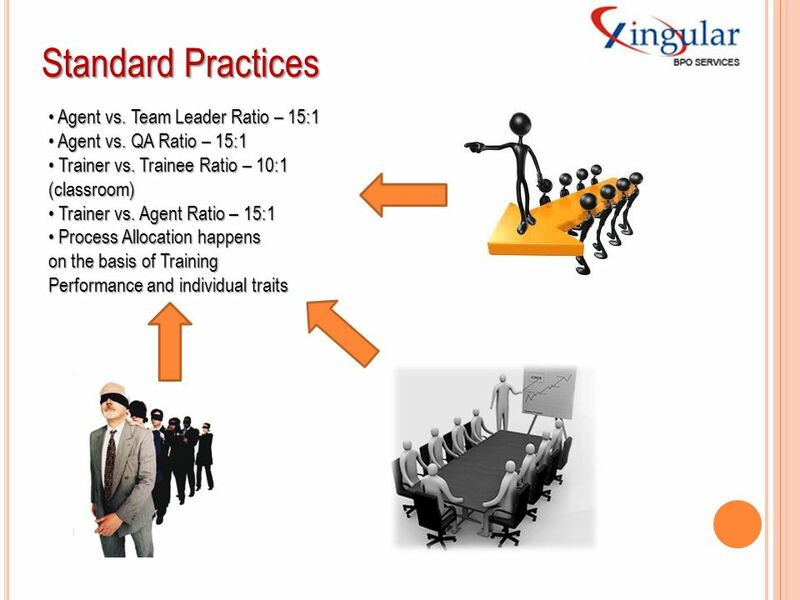 is the leader in Human Capital Management for the Call Center industry. We are experts in Staffing & Recruiting. 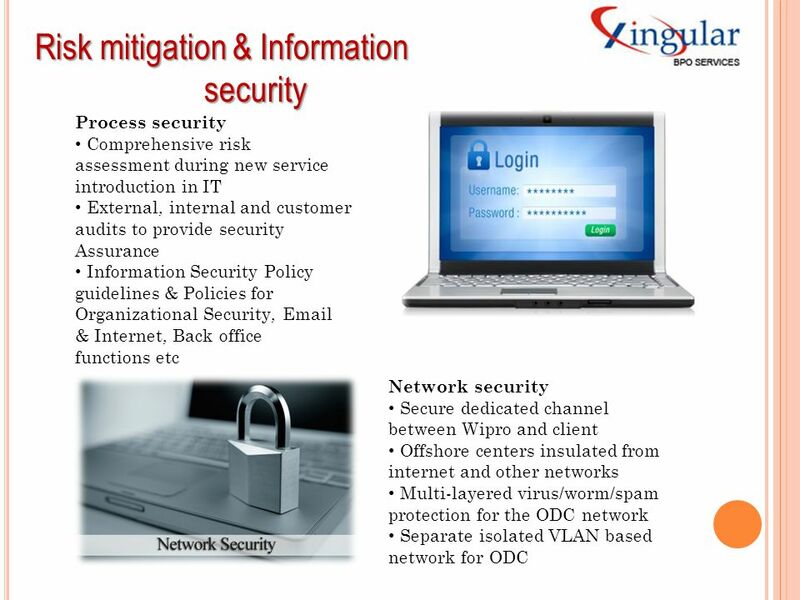 © 2010 Wipro Ltd - Confidential 1 © 2011 Wipro Ltd - Confidential Outsourcing - Advantage India. Company Profile. Welcome Ananya CoreIntTech “Ananya CoreIntTech”, an infant half a decade back has grown up to extend its services across the globe. Based. Authentic Infotech adding value to business Copyright © 2009 Authentic Infotech Corporate Profile. Opus Nine. 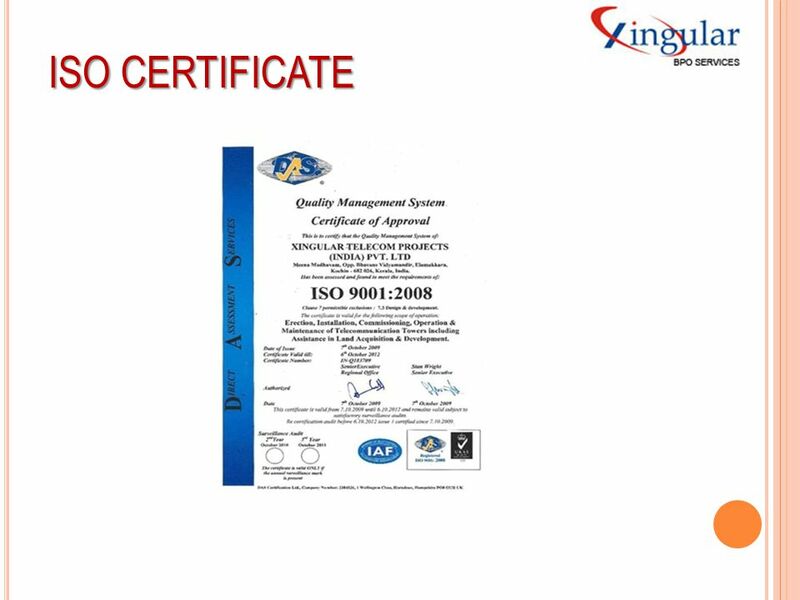 Opus Nine, was established in 2010 and is headquartered out of New Delhi, India. 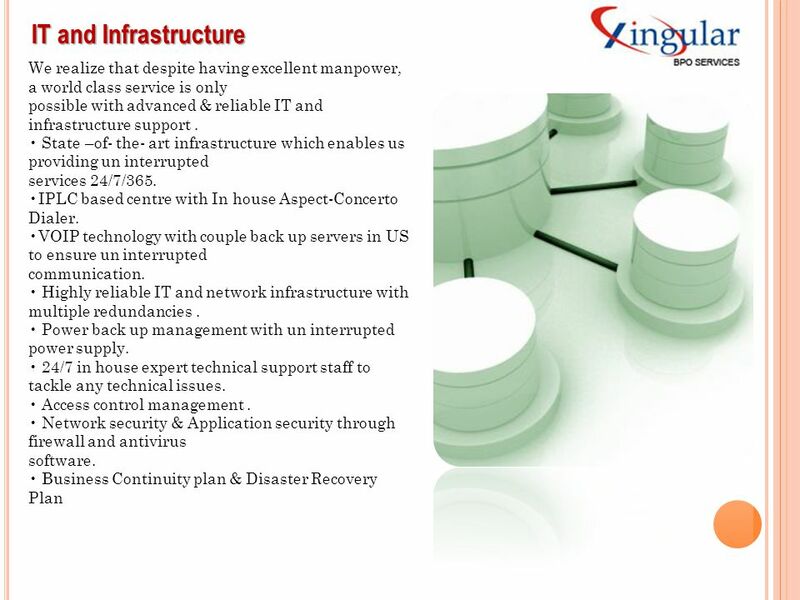 We are an end-to-end solutions provider servicing clients. Corporate Presentation NSB Group of Companies. NSB Group has been in existence since the last 30 years. What started out as an Accounting practice with. 1 Outsourcing and Offshoring Sandra Senti University of Chicago May 5, 2005. 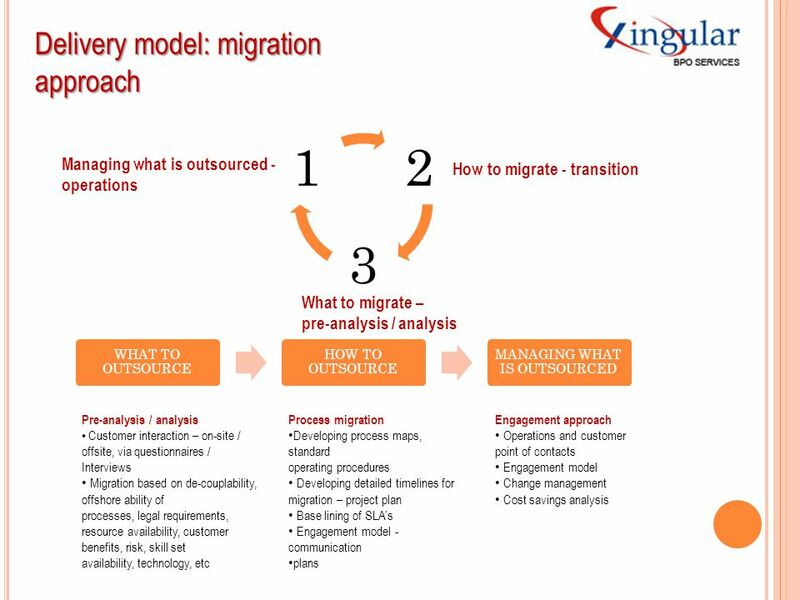 Services Overview Getting Started 23 Questions 5 Case Study 4 About OSI 1. 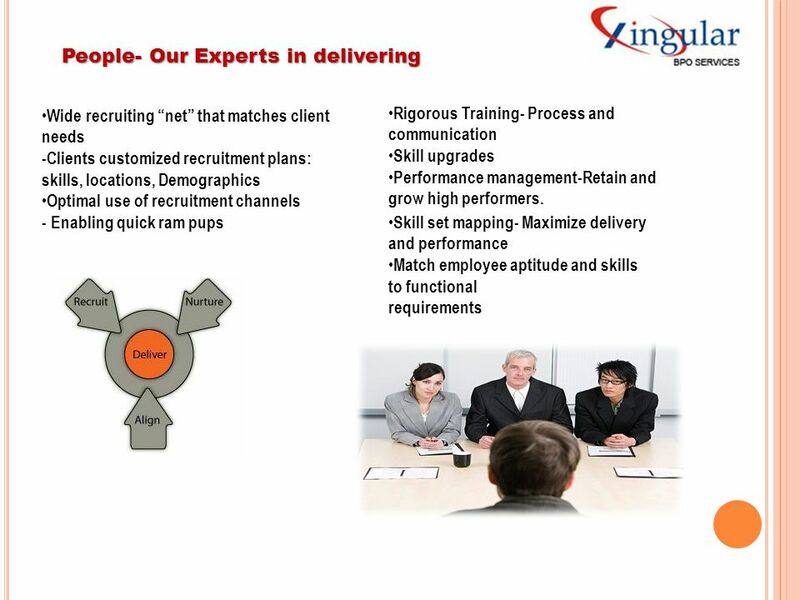 PRERNA Group Empowering Recruitment Services. Contents Mission & Vision Introduction Services Recruitment Process Technology Portfolio Industry Vertical.